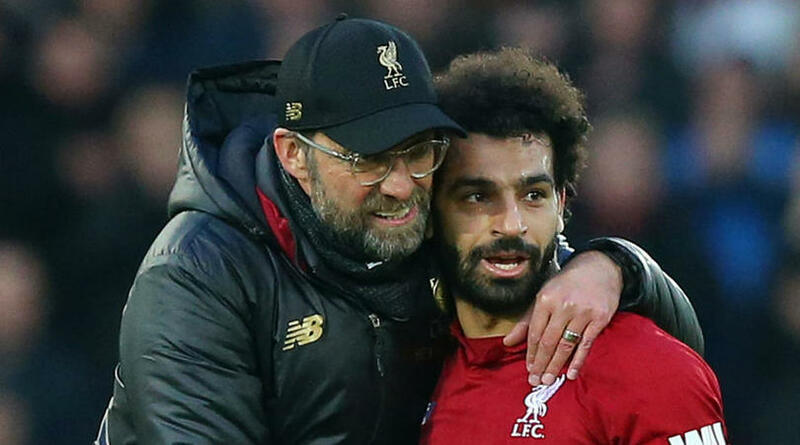 Jurgen Klopp felt Mohamed Salah turned in a masterful all-round performance as he brought up 20 goals for the season in Liverpool’s 3-0 win over Bournemouth. Salah put the game beyond the visitors after 48 minutes at Anfield, converting Roberto Firmino’s backheel to build upon Sadio Mane’s headed opener and a brilliantly lobbed second from Georginio Wijnaldum. The Egypt star is the first Liverpool player to reach 20 in consecutive seasons since Luis Suarez and Klopp was fulsome in his praise after his team returned to the Premier League summit ahead of Manchester City’s Sunday showdown with Chelsea. ‘The record is good but the performance was really good. He played an outstanding game,’ the Reds boss told a post-match news conference, having seen his players bounce back from consecutive draws against Leicester City and West Ham. ]It was exactly the football he is able to play and that we want him to play; very involved in things, not only scoring but in the build-up as well, sometimes dropping deep, in the half-spaces, staying wide, all that stuff. That’s exactly how he has to play and he did it in an outstanding manner. Wijnaldum starred for Liverpool despite being told to stay away from the team hotel on the eve of the game due to a bout of sickness and diarrhoea, while Klopp was boosted by the return of England right-back Trent Alexander-Arnold from injury. ‘Trent trained twice after four weeks out. It was good that we could bring him on and could see immediately what a fantastic player he is'” he added.